Historically, PBX’s (Private Branch Exchange) and key systems were an “over-subscribed” model meaning that the number of phone extensions generally far exceeded the number of phone lines utilized. A typical oversubscription rate was a ten-to-one ratio. Today, most Internet Telephony Service Providers “ITSP’s” charge a one-to-one flat monthly fee, per phone extension, whether it be a desk or courtesy phone, softphone or mobile application. 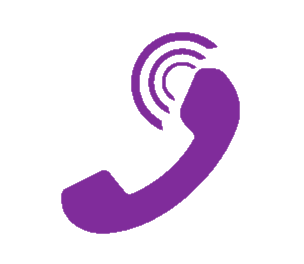 Because we are hosting your phone system, auto attendant, voice mail and all the Unified Communications technology on our high availability network infrastructure, we can offer low cost, flexible pricing and an amazing array of features. With Connect and Call™, we do all the heavy technical lifting so you don’t have to. We collect all your system programming requirements such as Hunt Groups, Call Routing, Auto Attendant scripts and program your entire phone system to your exact specifications so it arrives 100% ready to use. Just connect your power and Internet source and start calling. Easy, Flexible, that’s Connect and Call™. Small and medium sized businesses must stay flexible to stay competitive. Service Electric Telephone started out small and nimble and has retained the characteristics of small business competitiveness and value. We know how to offer high quality and low cost communication options to our customers without requiring a substantial outlay of capital by providing Hosted Communications as a Service (HCaaS). Until recently, rapid advances in communication technology have forced businesses to make hard choices: either make a significant capital expenditure on the latest technology or remain behind the technology curve with piece meal upgrades to your existing and increasingly dated communication infrastructure. Enhanced communication hosting services by Service Electric Telephone offers a third option. Businesses can now affordably plug in to the best and most current communications technology with hosted services from Service Electric Telephone . Racked in a secure facility and protected by a unique triple redundancy back-up system, Service Electric Telephone's HcaaS allows you to access a world-class communication infrastructure without a substantial capital outlay. You went into business because you have a passion for what you do, and not because you want to manage a telephone system. That is what we do. Hand that work over to us, and we will make it happen in the background of your business, so you can focus on your core competencies, on the things that drive your profit and productivity. Consider HCaaS as your next step forward in telecommunication technology and take advantage of the redundancy, security, and technical expertise available in the cloud. Call (610) 841-4100 today. With the Service Electric Telephone (SET) out of the box Auto-Attendant (AA) configuration, every hosted extension, whether you ordered just 1 or 200 extensions, receives a fully functional and self-programmable AA. Our AA is 100% self-configurable by your network or phone system administrator so you may modify AA settings on the fly, in real time as your business change. The SET AA eliminates the need for maintenance contracts and programming delays commonly found with phone system vendors and other hosted IP PBX service providers. Businesses can now have an internal staff member modify AA changes in minutes rather than days or even weeks. Small and medium sized businesses get the luxury of recording professional welcome greetings, easily managing sophisticated call menu options and setting call routing preferences 24/7, 365 days a year from any Internet accessible computer. Call us at (610) 841-4100 to learn more about our Auto Attendant functionality and how hosted IP PBX technology can improve your business. Operating a business today without taking full advantage of all the benefits that Unified Communications (UC) or Unified Messaging (UM) (as it is sometimes referred to) delivers is simply, not good business. Integrating and condensing the delivery of all your day-to-day email, voice mail and fax communication into one or just a few software interfaces promotes cost efficiencies across all aspects of your business. Service Electric Telephone’s Hosted IP PBX platform contains all the latest UC/UM functionality through an easy to manage User Portal with all platform features and functionality being absolutely FREE and included with your monthly extension charges. Call us at (610) 841-4100 to learn more about our UC/UM functionality and how hosted IP PBX technology can improve your bottom-line. Call logs: A record of your calls and faxes is stored in your online account. You’ll see who called, the phone number they called from, the time and date they called, and the duration of the call. Voice Mail to Email included with every extension including IMAP (erase the voice mail from your phone and it erases it from your Email and VV). Advanced features like greetings, mlitiple delivery options, and alerts. Retrieve voice messages online or have them delivered to you by email. Play them on your PC speakers or listen to them over the phone. To learn more about the functionality of our hosted IP PBX services call us at (610) 841-4100 for a professional consultation.